Studying the Earth’s past in order to improve its future may be a tried-and-true strategy, but The North Carolina Arboretum brings fresh perspective to the process in its exhibit Roots of Wisdom: Native Knowledge. Shared Science., on display through May 6, 2018. 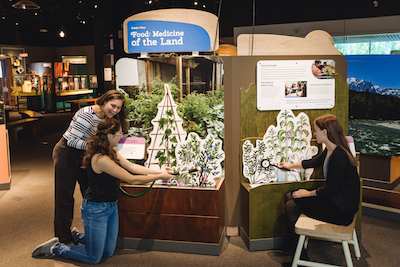 The national traveling exhibit, proudly sponsored by Mosaic Community Lifestyle Realty, educates visitors about the ways in which traditional knowledge of indigenous peoples and cutting-edge Western science are intertwined to enhance the natural world. 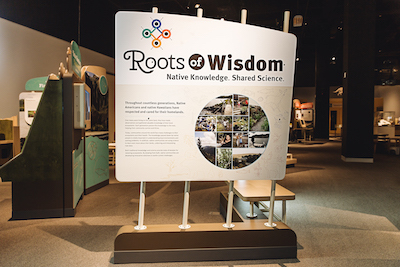 On display from 9 a.m. to 5 p.m. daily inside the Arboretum’s Baker Exhibit Center, Roots of Wisdom spotlights four indigenous communities, including the Eastern Band of Cherokee Indians. The exhibit features the voices of elders and youth, engaging video interactives, and hands-on games, whereby visitors can learn about and take part in the growing movement toward sustainability and the incorporation of age-old yet timeless practices into today’s world to restore vital ecosystems, provide sustainable food sources and improve human health. Each of the indigenous communities featured in the exhibit holds a sacred relationship with its homeland, and it’s the traditional knowledge gleaned from this relationship that helps to complement Western science in its quest for solutions to a multitude of ecological and health challenges. Visitors to the exhibit will come away with a new perspective on some not-so-new methods for drawing from the Earth’s resources for the greater good. The North Carolina Arboretum, located just south of Asheville on 434 acres of public gardens, has an ongoing history of and keen interest in working with native indigenous communities. Most recently, its Germplasm Repository has joined forces with the Eastern Band of Cherokee Indians, United South and Eastern Tribes, and the U.S. Bureau of Indian Affairs to assist in conserving traditional ecological knowledge through a variety of initiatives. It is this inspiring collaboration to help preserve the Asheville region’s botanical diversity that continues to shine through in exhibits like Roots of Wisdom. The central mission of the Arboretum, an affiliate institution of the 17-campus University of North Carolina system, is to cultivate connections between people and plants. A standard $14 per vehicle parking fee is required for non-members; no other admission fee is required for entry to the exhibit. For more information on the Arboretum and Roots of Wisdom, visit www.ncarboretum.org or call (828) 665-2492. Cyclists in Asheville have plenty to enjoy around the city. From Asheville’s bike path infrastructure to its greenways, opportunities to cycle around town are growing. Spearheading the pro-pedal movement is Asheville on Bikes, a non-profit that advocates for better biking and walking infrastructure in the city and the surrounding Western N.C. region. The group celebrates bike culture regularly through group rides, educational programs – and fun special events. Ready to get the good times rolling? Then join Asheville on Bikes for two of its most popular events, coming in February and March. The 11th annual Bike Love, presented by New Belgium Brewing, returns to Salvage Station (468 Riverside Dr.) the evening of Saturday, Feb. 24. Bike Love is Asheville on Bikes’ annual signature extravaganza and fundraiser celebrating all things bicycle. Come and score popular gear and dance the night away while supporting Asheville on Bike’s mission. The event features a silent auction, a bicycle raffle, a photo booth, and music from top local artists. An early reception for special ticket holders includes small bites, a free beer and a sneak peak at the auction goodies. DJ Marley Carroll and Siamese Sound Club featuring CaroMia Tiller will be on hand to supply the grooves throughout the night. You can purchase tickets in advance online or at a variety of shops around Asheville. 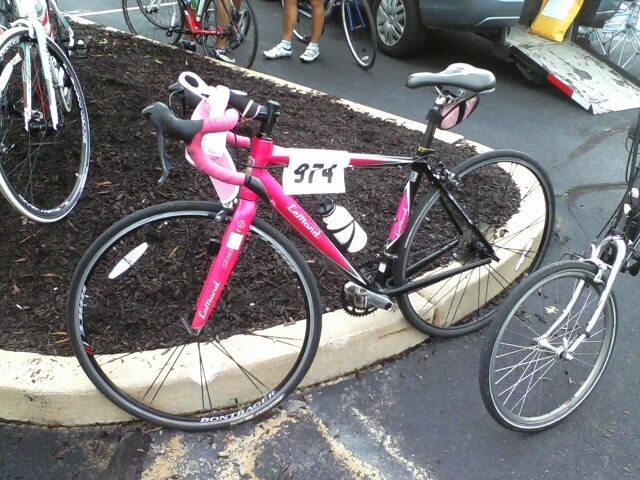 For more information, visit https://ashevilleonbikes.com/events/asheville-bike-love. The 12th annual Bike of the Irish is set for March 2018. Bike of the Irish is Asheville on Bike’s annual spring ride, featuring hundreds of green-bedecked riders and routes that showcase the best of Asheville’s bike infrastructure and greenways. Family-friendly and free to everyone (although donations are appreciated), Bike of the Irish has drawn hundreds every year to cycle along scenic routes including the River Arts District, into Downtown Asheville, and along various greenways before ending in an after-ride celebration at brewery favorites. For more information, visit https://ashevilleonbikes.com/events/asheville-bike-of-the-irish. Thanks to Asheville on Bikes events like these, as well as the efforts of its members, sponsors and civic partners, Asheville is seeing real change on the ground and in the community in creating a safer cycling-friendly city. For a personally guided tour of bikeable homes or homes near greenways in Asheville, or for more information on other Asheville real estate, please contact Mike Figura at Mike@MyMosaicRealty.com or call him anytime at (828) 337-8190.